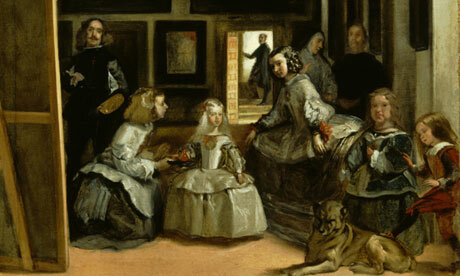 Las Meninas, the classic work by Diego Velázquez which hangs at the Prado Museum in Madrid, may in fact be a later version of the work, a Spanish art expert argues. At a recent event at the Royal Academy of Art in Spain, Dr Matías Díaz Padrón maintained that a version hanging in Dorset, England may be an earlier version of the painting, overturning current opinion that the work was in fact a copy. “Today, the moment has arrived to revise these judgments, and restore the painting’s authorship to Velázquez.” Díaz Padron said. This entry was posted on Monday, October 7th, 2013 at 3:12 pm	and is filed under Art News. You can follow any responses to this entry through the RSS 2.0 feed. You can leave a response, or trackback from your own site.